This summer, ArtStarts launched a new initiative for teens called YoungStarters. Centered around creativity, collaboration and community, YoungStarters is an arts mentorship program that aims to utilize art as a vehicle to empower young people's creativities while providing them with lasting, relevant skills and experiences. 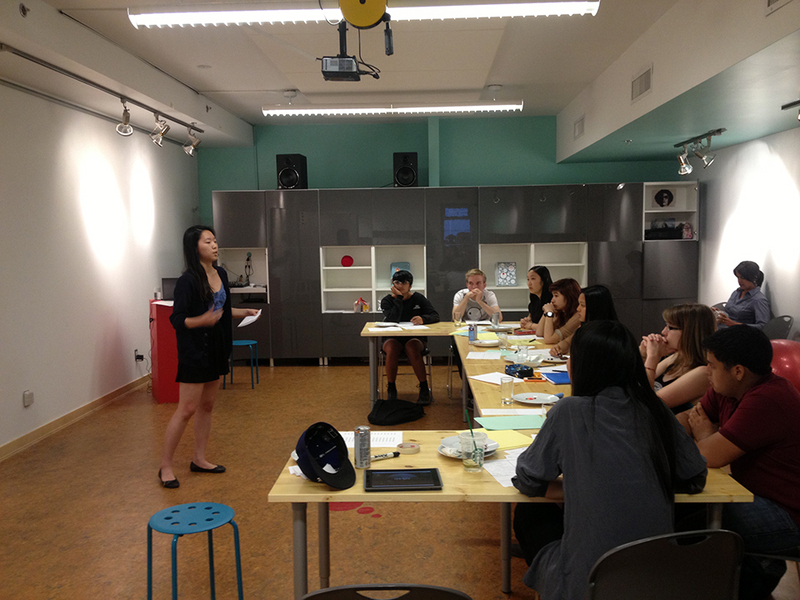 On Saturday, July 27, the YoungStarters met for the first time. 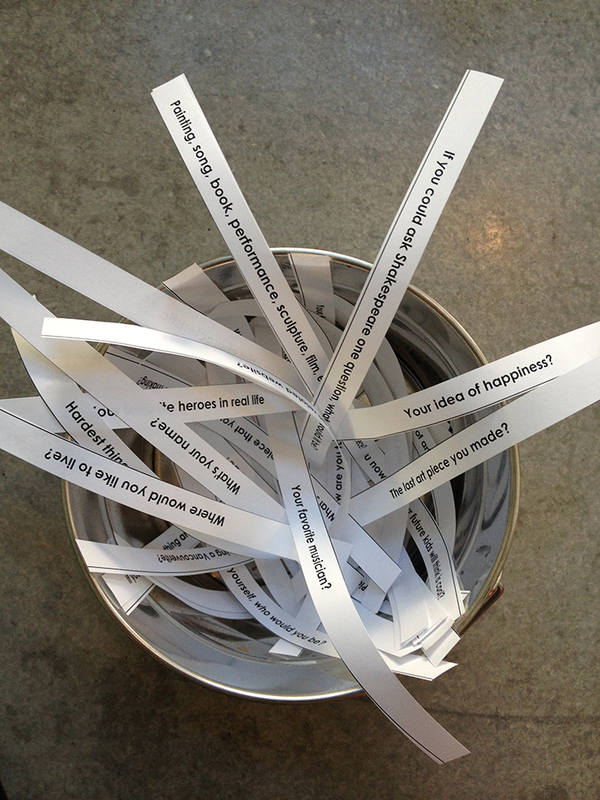 The first session started with an ice breaker: How many questions can you answer in 60 seconds? YoungStarters Program Coordinator, Elfred Matining, then introduced the goals and format of YoungStarters, and gave an artist talk about his own creative practices. Once all the intros were out of the way, the YoungStarters listened to and workshopped their first project: a proposal pitched by YoungStarter, Ally Abrahamsen. The group discussed, collaborated and drew out an execution plan for Ally's scavenger-hunt-inspired city chalk project. Then they hit the streets and set the plan into motion! After accomplishing the first ever YoungStarters project, the team headed back to the ArtStarts Lab to have lunch and to hear all the other pitches. By the end of the day, everyone decided to work on one project fondly referred to as "mutated murals" — which is essentially a very ambitious combination of several of the project proposals. 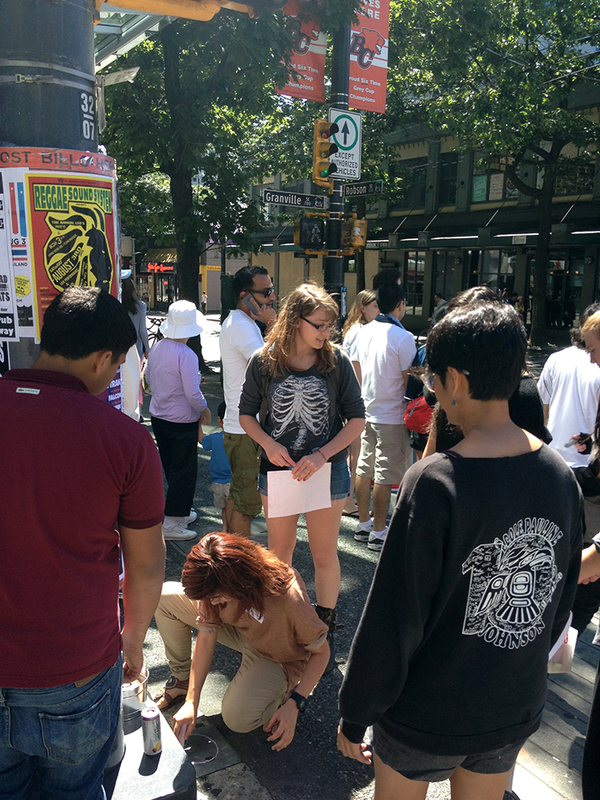 The YoungStarters took a short break for the BC Day long weekend, but they'll all be back at the ArtStarts Lab this Saturday to plan more of the "mutated murals" project and to meet the mentors!